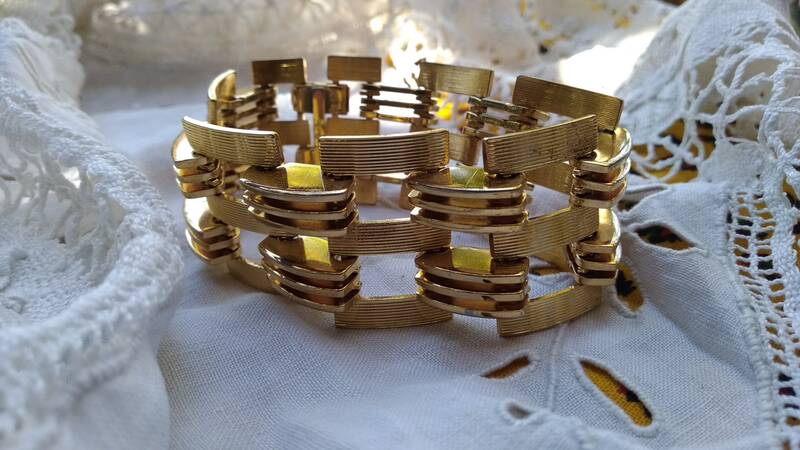 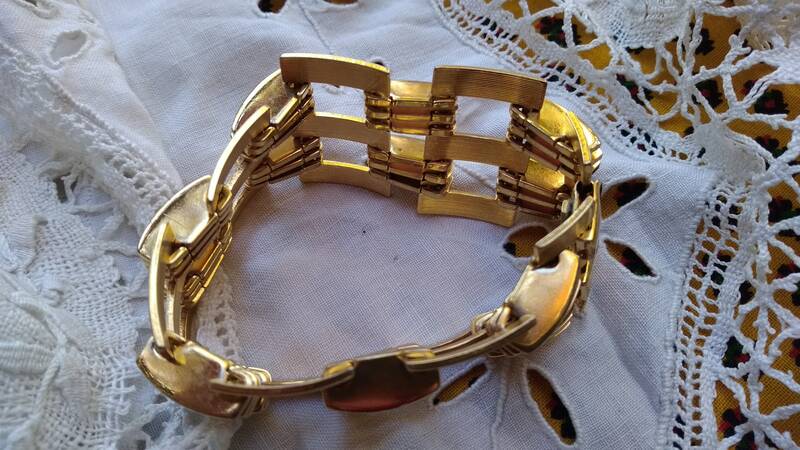 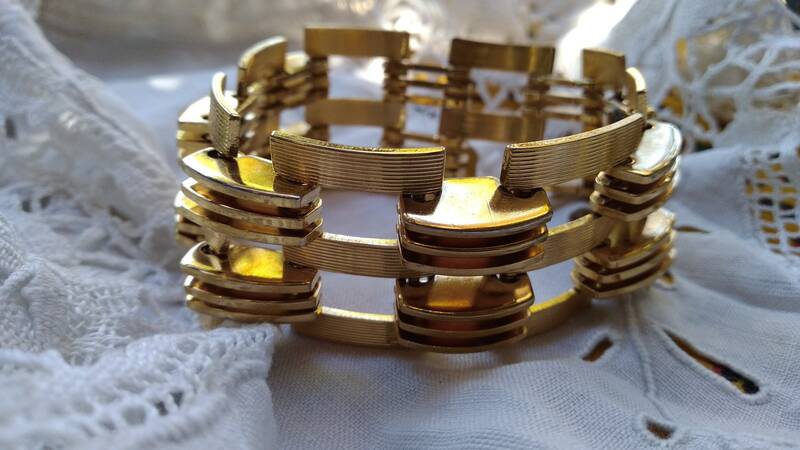 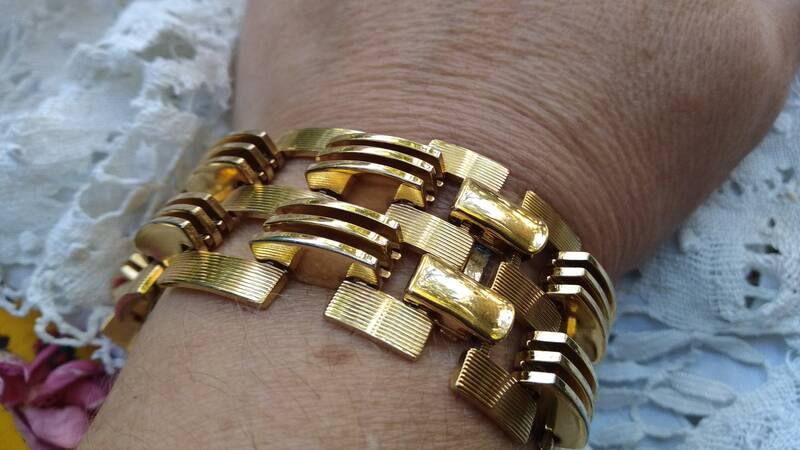 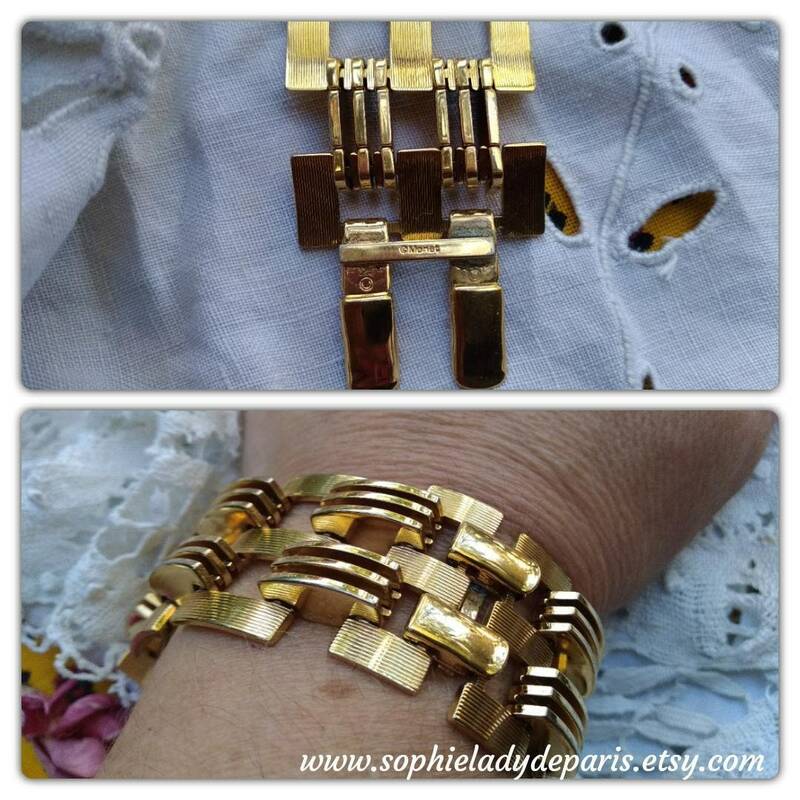 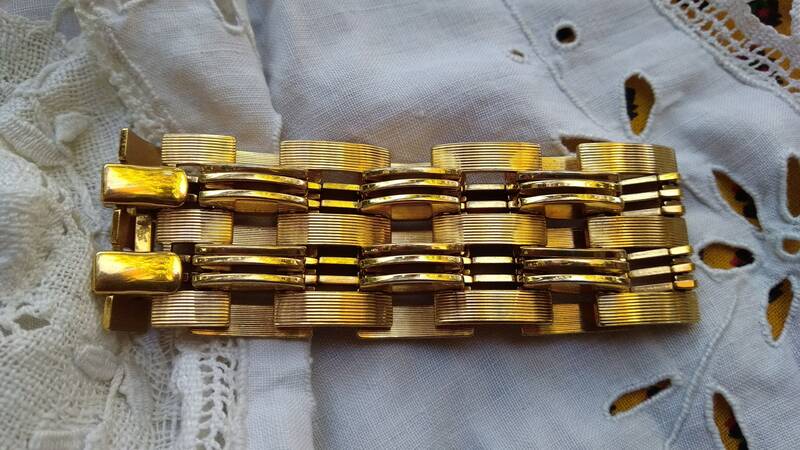 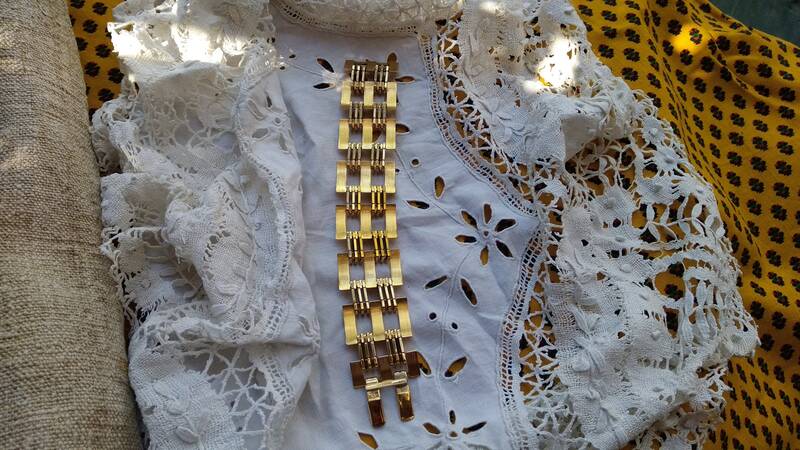 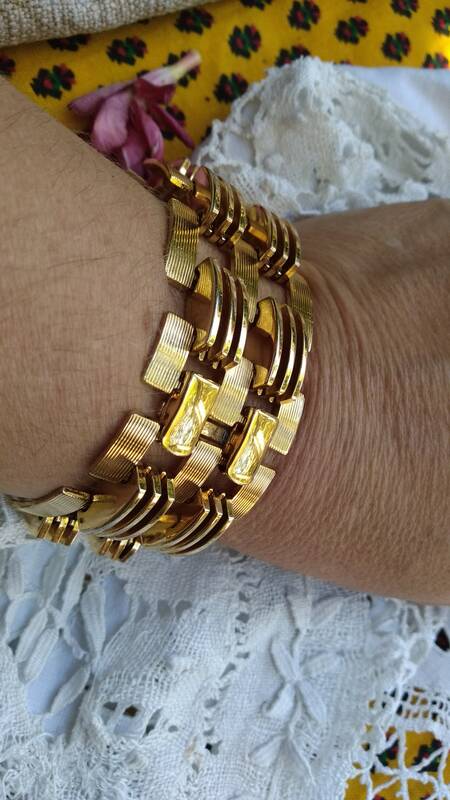 Gold plated wide bars bracelet. 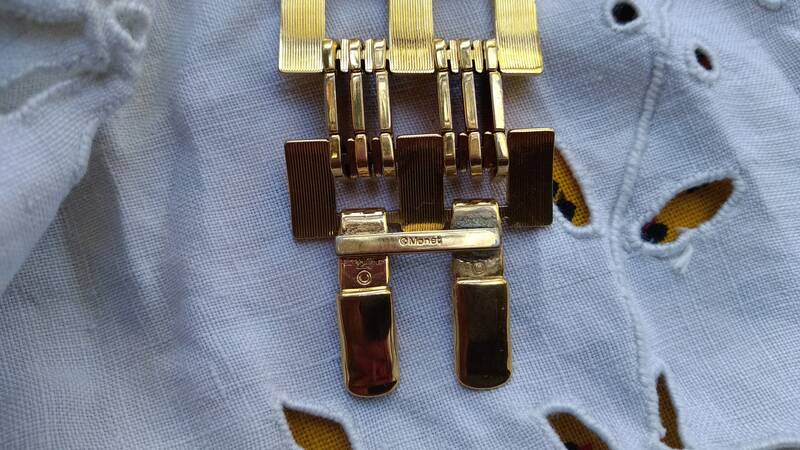 One end of Monet tag was re-sealed. 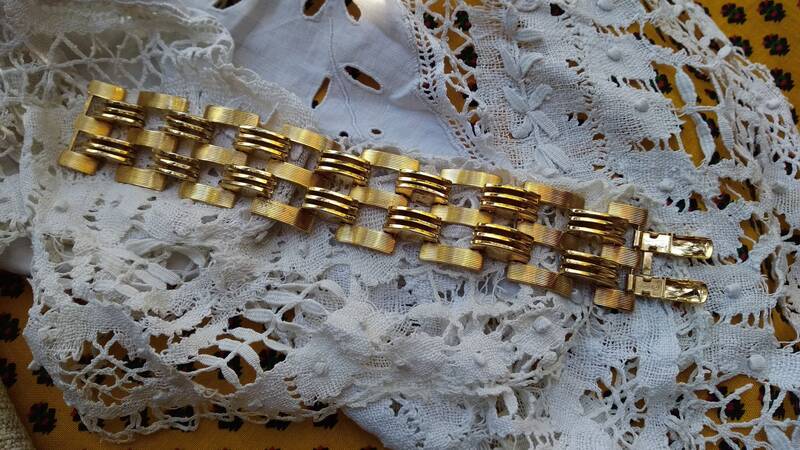 Weight : 85 g = 2.99 oz.